"The World Largest Halal Trade Show"
Malaysia International Halal Showcase is the halal industry number one business platform. It brings with it international visitors, traders to the same forum. 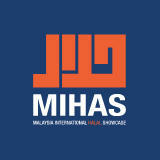 MIHAS delivers opportunities across the global halal markets; Halal Food, Islamic Finance, Halal Pharmaceuticals, Halal Cosmetics, Halal Tourism & Halal Logistics. MIHAS is the premier event that is not limited to the ASEAN region alone but is also supported internationally by the enthusiastic participation of International Pavilions from countries across the globe. More than 1,000 exhibitors in Halal industry. Join over 21,000 trade visitors from around the world. The public transportation n shuttle service needs to be improve. It was difficult communing especially fr Mitec. Shutter van is to cramp & I'm asian size! 4 07 Apr 2019 NurulFatin Hasaan QA Executive at Kampong Kravers (M) Sdn. Bhd. There was not enough confectionery items at the EXPO,however I was impressed by it. The site map of exhibitors should be highlighted more prominently. More than 401 exhibitors will be participating at Malaysia International Halal Showcase. The exhibitors will be exhibiting a huge range of consumable products such as Food and Beverages, Meat and Poultry, Seafood Products, Halal Certified Organic Products, Raw Food Materials, Food Chemicals, Emulsifiers and Ingredients, Additives, Canned Foods, Processed and Ready To Eat Products, Preserved Fruit and Vegetable Products, Nuts and Grains, Agricultural and Grocery Products, Chocolate and Dairy Products, Confectionery, Biscuits, Pastries, Snacks and Candies, Health Supplements and Multivitamins, Pharmaceutical and Herbal Products. There will also be a category of non food products and services such as Perfumery, Toiletries, Cosmetics, Personal and Body Care products. 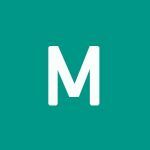 Various other services such as Halal Certified Premises, Islamic investment, banking and takaful services such as services related to abattoirs, hotels and restaurants, catering services, fast food franchises, bakerties, delicatessens. The attendees will observe the presence of the representative coming from the Islamic financial institutes and consultancies, Islamic banking, Islamic Unit Trusts, Islamic Capital markets, Insurance companies, Government agencies, Islamic development bodies, Halal certification agencies, Food research and development centers and Trade development agencies. There will be professionals from the Food packaging, machinery and catering equipments and they will exhibit ovens and cooking devices, cutlery and cooking utensils, kitchenware, glassware, serving equipments, food storage containers, food storage facilities, food processing and packaging machinery. Holiday Villa Hotel & Suites Su..
Homestay Villa Solihin Sungai B..